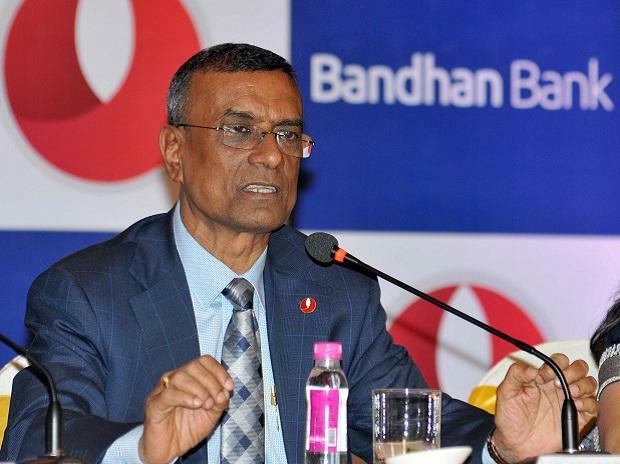 Bandhan Bank will soon finalise the long-pending plan to reduce its promoters’ stake to 40 per cent as required by the Reserve Bank of India (RBI). C S Ghosh, managing director and chief executive, said an Offer for Sale was among the measures being considered. In January, it announced the merger of Gruh Finance with itself, which reduced the promoters’ stake to about 61 per cent, from the earlier 82.3 per cent. The RBI says promoter stake in the new private banks is not to exceed 40 per cent. “We have a plan...We will shortly close it,” said Ghosh, while ruling out the possibility of any further acquisition to reduce the stake. The stock exchange data shows that HDFC Ltd on Thursday sold ~300 crore, or about 1.6 per cent in Gruh. “We sold a small quantity of shares to interested investors. We don't intend to sell any further shares at least for a month,” said an HDFC spokesperson. Buying shares in Gruh now means buying future shares in Bandhan. And it makes sense for the investors to buy in Gruh now as the shares offer an arbitrage opportunity of about 7.5-8 per cent vis-à-vis Bandhan share prices now, said an analyst. In September 2018, the central bank had directed a halt to any rise in Ghosh’s salary and also withdrew the bank’s right to open new branches on its own. This was a penalty for not having cut the stake, despite having got three years from the date it began operations to do so. The deadline ended on August 23. The bank has since got RBI permission to open 25 more branches. It opened two on Wednesday and one on Thursday; two more will be opened this week. Ghosh said RBI approval had come for the Gruh merger and an okay was still to come from the Securities and Exchange Board of India (Sebi). It has also sought clearance from the Competition Commission of India. After Sebi's approval, it will approach the National Company Law Tribunal. The bank is also expecting to give a big push to the affordable housing sector after completion of its merger, Ghosh said. According to the agreement with Gruh, 568 equity shares of a ~10 face value each of Bandhan will be issued for every 1,000 equity shares of face value Rs 2 each of Gruh. HDFC holds 57.83 per cent stake in Gruh and this will come down to about 15 per cent after the merger. RBI does not also allow the promoter of one bank to hold more than 10 per cent in another bank as a co-promoter.